Tower at Frisco Square – 174,000 sf class A office building developed by Wolverine Interests and located in the heart of Frisco Square. Wolverine brought in lead tenant, Gearbox Software, and completed the development in 2015. The building is now over 90% occupied at higher than projected rental rates. The building includes retail space on the first floor which has been leased by a variety of restaurants and coffee shops which act as great amenities to the office tenants. 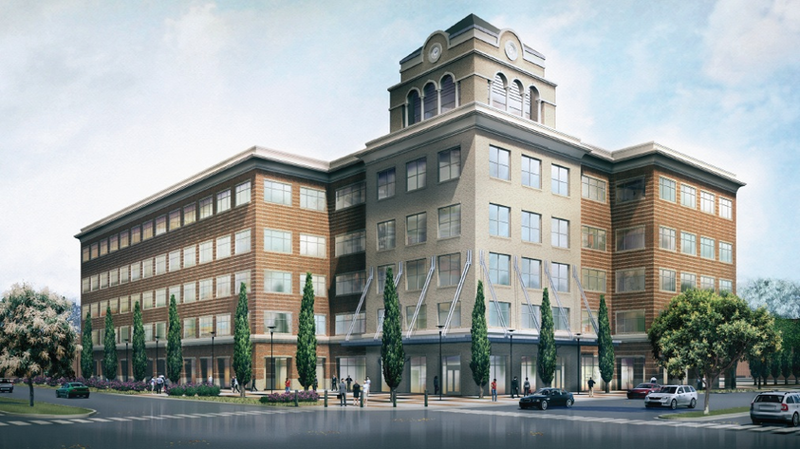 The building is strategically located right off the Dallas North Tollway in Frisco Square which offers a truly walkable live, work, play environment which is a rare find in DFW. Tower at Frisco Square is a 5 story office building with main tenant, Gearbox Software, taking the top three floors. Gearbox Software is well known for its immensely popular video game Borderlands. Previously, Gearbox Software has been very well known for the comedy action game Duke Nuke ‘Em Forever. As well as Halo: Combat Evolved, a PC first person shooter game. The move to Frisco Square is a relocation and expansion for Gearbox Software. The walkability factor of Frisco Square, with living, dining and entertainment options in a single area, is one of the main reasons Gearbox Software chose Frisco for its new headquarters, remarked Randy Pitchford, Gearbox Software President and founder. Pitchford also has a vision for the bottom floor of commercial space in the building. “We’re not merely influencing the businesses that will move in there, but in a few cases we are investing and helping to create those businesses, one of which will be a restaurant and bar that is going to be themed around video games,” he said.